The story of the sage who revived the science of Kriya Yoga — as revealed by Lahiri Mahasaya, Paramhansa Yogananda, and other saints. The name babaji simply means “revered father.” Though the great master’s birth name and date are unknown, his subtle spiritual influence is felt throughout the world. 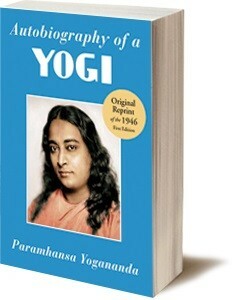 Paramhansa Yogananda’s Autobiography of a Yogi first introduced the world to this mysterious master. 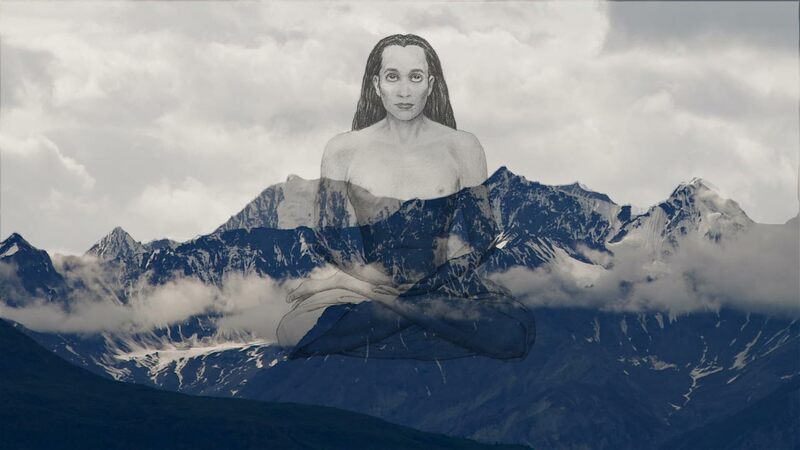 Still alive and residing in the Himalayas for centuries or even thousands of years, Babaji has been a guide for great spiritual teachers carry out their special dispensations. For this reason he is called a mahavatar, a great incarnation of God. These are a few of the masters that Yogananda said were assisted by Babaji. Yogananda said that Shankaracharya was so impressed with Babaji’s to protect a disciple that he asked to become a disciple himself. 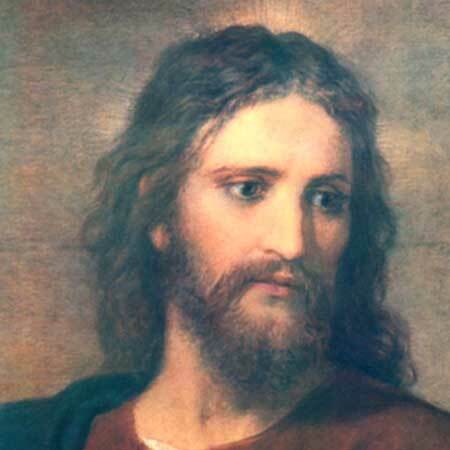 The three wise men that visited Jesus Christ after his birth, Paramhansa Yogananda said, were Lahiri Mahasaya, Swami Sri Yukteswar, and Mahavatar Babaji. In his travels to India, Jesus is said to have paid them a return visit. 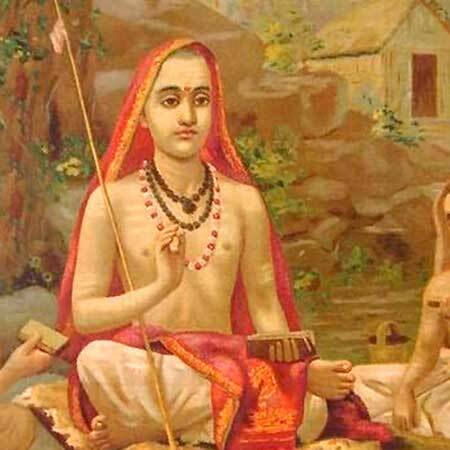 Like Shankaracharya, Kabir received yoga initiation from Babaji. Babaji was the guru of Lahiri Mahasaya, through whom the science of Kriya Yoga — a technique for spiritual liberation — once more began to spread throughout the world. 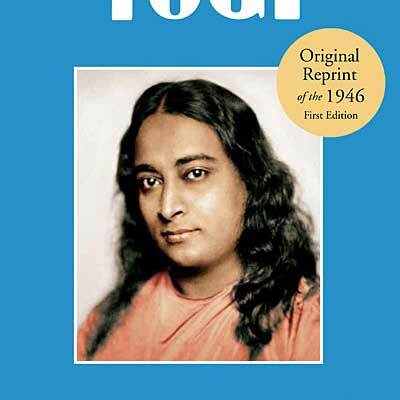 Through Yogananda, the technique of Kriya Yoga and the teachings of yoga have been shared with millions in the West. The peerless master moves with his group from place to place in the mountains. His small band contains two highly advanced American disciples. After Babaji has been in one locality for some time, he says: “Dera danda uthao.” (“Let us lift our camp and staff.”) He carries a symbolic danda (bamboo staff). His words are the signal for moving with his group instantaneously to another place. He does not always employ this method of astral travel; sometimes he goes on foot from peak to peak. Babaji can be seen or recognized by others only when he so desires. He is known to have appeared in many slightly different forms to various devotees — sometimes without beard and moustache, and sometimes with them. As his undecaying body requires no food, the master seldom eats. As a social courtesy to visiting disciples, he occasionally accepts fruits, or rice cooked in milk and clarified butter. Though he has never appeared openly, Babaji answers prayers from devotees around the world. This story and two others are told in Chapter 36 of The New Path by Swami Kriyananda. Pedro Gonzales Milan… told me of the first time he had read the Autobiography of a Yogi. I, too, have experienced Babaji’s blessings on occasions when I have prayed to him. In 1960, on my second visit to India, I wanted to find a place of seclusion for a few days before returning to Calcutta to resume my activities in our society there. I had no idea where to go, however. Part of my difficulty was that Indians often found a Western swami a novelty. Villagers, especially, would sometimes gather in scores outside any house I stayed at. They waited for hours, if need be, for me to come out. I took advantage of his offer. The place proved ideal in every respect. Not long after the opening of the Lake Shrine, Chuck Jacot, a monk there, was trying to repair a pump that sent water up a little hill, at the top of which stood a statue of Jesus Christ with his hands outheld in blessing. From a point below the statue, water was meant to descend in a graceful cascade. Chuck, a trained plumber, couldn’t get the pump to work. Finally he hit on a spiritual solution; at least, he hoped it would be a solution. 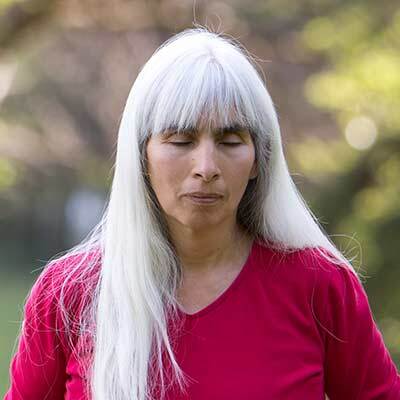 Recalling a passage in Autobiography of a Yogi that says, “Whenever anyone utters with reverence the name of Babaji, that devotee attracts an instant spiritual blessing,” Chuck sat down and called mentally to that great master. Suddenly, to his awe and amazement, Babaji appeared before him in vision, blessed him, and offered him priceless spiritual counsel. Later, when Chuck returned to outward consciousness, he found the pump functioning smoothly, and the water flowing again. “I asked Babaji to give Chuck that experience,” Master told us later. Many others have acted upon those words of promise in Autobiography of a Yogi, and have received extraordinary blessings. The book that introduced Mahavatar Babaji to the world. All of chapter 33 is dedicated to the deathless guru. Highly recommended. “The easiest, most effective, and most scientific avenue of approach to the Infinite,” according to Yogananda. 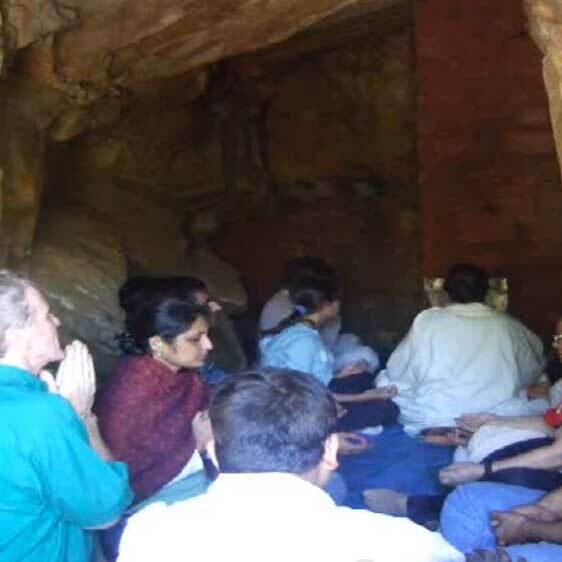 Visit the cave and hillside where Lahiri Mahasaya is said to have met Babaji and received initiation into Kriya Yoga. Read the story of one miraculous pilgrimage. Ages shall come and go—still the deathless master, beholding the drama of the centuries, shall be present on this stage terrestrial. 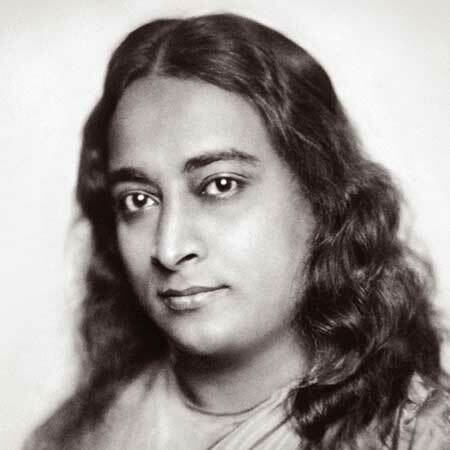 It was he who re-introduced the ancient science of Kriya Yoga, which had been lost through the dark ages due to “priestly secrecy and man’s indifference,” as Paramhansa Yogananda put it. This website was created by Ananda, whose purpose is to help people experience the joy of God within themselves. Ananda was founded in 1968 by Swami Kriyananda, a disciple of Paramhansa Yogananda. Visit www.ananda.org or email us for more information. Told by Swami Sri Yukteswar in Autobiography of a Yogi. “In the quiet of night I busied myself over a comparison of the Bible and the scriptures of Sanatan Dharma. Quoting the words of the blessed Lord Jesus, I showed that his teachings were in essence one with the revelations of the Vedas. To my relief, my book was finished in a short time; I realized that this speedy blessing was due to the grace of my Param-Guru-Maharaj. The chapters first appeared in the Sadhusambad journal; later they were privately printed as a book by one of my Kidderpore disciples. “The morning after I had concluded my literary efforts,” Master continued, “I went to the Rai Ghat here to bathe in the Ganges. The ghat was deserted; I stood still for awhile, enjoying the sunny peace. After a dip in the sparkling waters, I started for home. 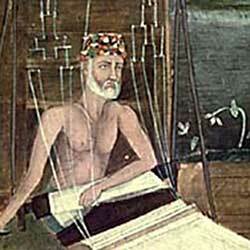 The only sound in the silence was that of my Ganges-drenched cloth, swish-swashing with every step. As I passed beyond the site of the large banyan tree near the river bank, a strong impulse urged me to look back. There, under the shade of the banyan, and surrounded by a few disciples, sat the great Babaji! “When I returned in a few minutes with a dish of delicacies, lo! the lordly banyan no longer sheltered the celestial troupe. I searched all around the ghat, but in my heart I knew the little band had already fled on etheric wings. “I was deeply hurt. ‘Even if we meet again, I would not care to talk to him,’ I assured myself. ‘He was unkind to leave me so suddenly.’ This was a wrath of love, of course, and nothing more. “A few months later I visited Lahiri Mahasaya in Benares. As I entered his little parlor, my guru smiled in greeting. “‘Why, no,’ I answered in surprise. “‘Come here.’ Lahiri Mahasaya touched me gently on the forehead; at once I beheld, near the door, the form of Babaji, blooming like a perfect lotus. “I remembered my old hurt, and did not bow. Lahiri Mahasaya looked at me in astonishment. “I was instantly satisfied by this unflattering explanation. I knelt at his feet; the supreme guru patted me kindly on the shoulder. Told by Swami Kebalananda in Autobiography of a Yogi. His disciples were sitting one night around a huge fire which was blazing for a sacred Vedic ceremony. The master suddenly seized a burning log and lightly struck the bare shoulder of a chela who was close to the fire. 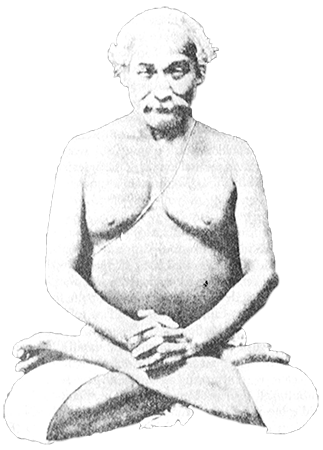 “Sir, how cruel!” Lahiri Mahasaya, who was present, made this remonstrance. Told by Lahiri Mahasaya in Autobiography of a Yogi. “The scene was a Kumbha Mela at Allahabad,” Lahiri Mahasaya told his disciples. “I had gone there during a short vacation from my office duties. As I wandered amidst the throng of monks and sadhus who had come from great distances to attend the holy festival, I noticed an ash-smeared ascetic who was holding a begging bowl. The thought arose in my mind that the man was hypocritical, wearing the outward symbols of renunciation without a corresponding inward grace. “No sooner had I passed the ascetic than my astounded eye fell on Babaji. He was kneeling in front of a matted-haired anchorite.